If you have any questions or want to enquire about dates, use our form to contact Marcella Franchi or see their website for more information. 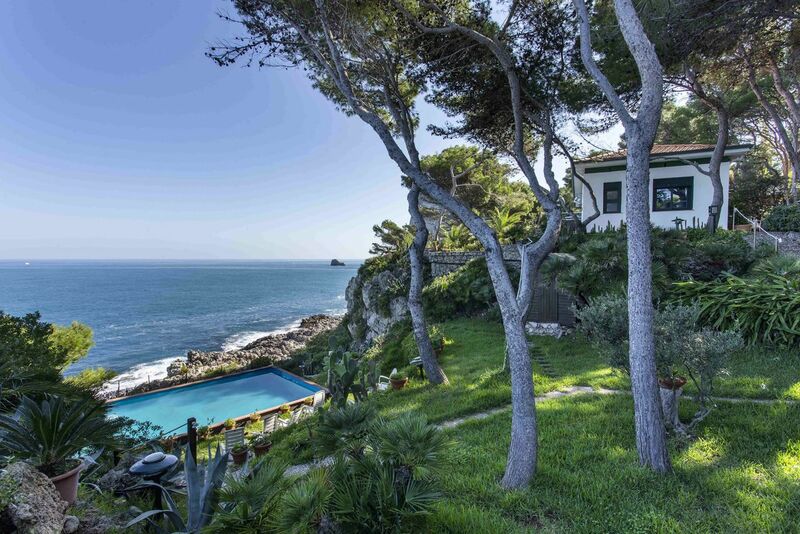 This rambling Tuscan-style villa estate is within walking distance of the Sintra Mountains and the wild surf of Guincho Beach. Elegant Cascais with its busy marina and sandy beaches is just down the coast. The split-level villa can be hired separately or altogether; breakfast is delivered to you – continental or a full English. Your eco-minded host Marcella can organise pretty much anything from babysitting to in-house catering if you don’t fancy going out for supper. The village is a five-minute walk and has plenty of restaurants and shops. Several rooms have their own garden entrance, so it’s easy to spill out to the shade of the pines or have a quiet read on the terrace. Cool off in the glass-housed pool before the barbecue begins. Kids will love the football court too. Minimum stay: 3 nights. 3 nights on weekdays. 3 nights at weekends. 7 nights in high season. Short breaks available. Pets by arrangement. Monte e Mar & Casa dos Meninos can be rented together, €1900-€4700. Geranium & Jasmin can be rented together: €1200-€3000; Morada Sol Estate (exclusive use): €3200-€7600 per week. You can have the best of both worlds here. Lazing around in the heart of the countryside, mountain, sea and nature around you with all you need just 5 minutes walk away. A truly restful place. It is a lovely place to stay, very nice house, nice swimming pool and 10 mins from the beach. I would definitely recommend it. We recently rented Morada Do Sol exclusively for our small intimate family wedding. From the moment we found the property we felt very assured with the service we received from the owners and booking agent and everything we put to them without fail was answered and dealt with efficiently. We choose the property due to its scheduled location and for any family group looking for something similar then this is ideal for you. It provides wonderful views a great central place for everyone to eat and enjoy themselves and a great covered pool for children to play in. We would all love to return! Organised for a large group of friends coming to visit and the success of the trip was also due to this fantastic venue. The estate is well kept, but also very informal so great for informal socialising. The service was very friendly and efficient and they organise cooking and extras if you want which was useful for our group. I have a property in the same village so will use Morada do Sol again to accommodate friends. Covered pool a great plus for this mid-season. Outside BBQ area great and kitchen really functional. The house has a great homely feel with lots of interesting decorations! We were a group of friends organizing a surprise week before marriage for one of us and we spent in Morada do Sol our best week end that we could do! The villa was fantastic and had all the amenities we need. Garden and outside area with barbecue are so nice that we stayed here! Moreover even if the weather wasn't favorable the swimming pool was hot... So, really really excellent for a group! The villa, hidden down a tree-lined drive, feels delightfully rural. The gardens hum with the sound of birds and the sea can be glimpsed in the distance yet Malveira da Serra is less than a five-minute walk. A pretty town packed with places to eat, shops, a chemist, bakery and more. You’re just 30 minutes from Lisbon via the motorway. 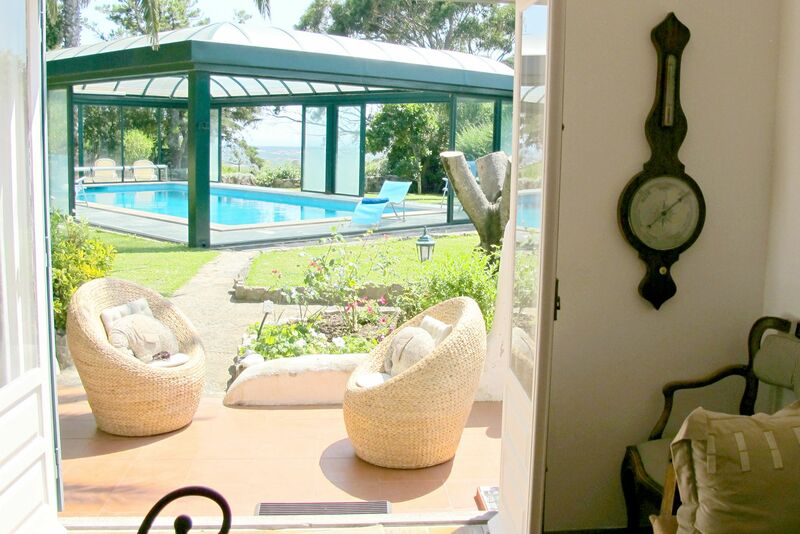 Morada do Sol is ideally situated in a rural setting, 6km from cosmopolitan Cascais and Estoril. 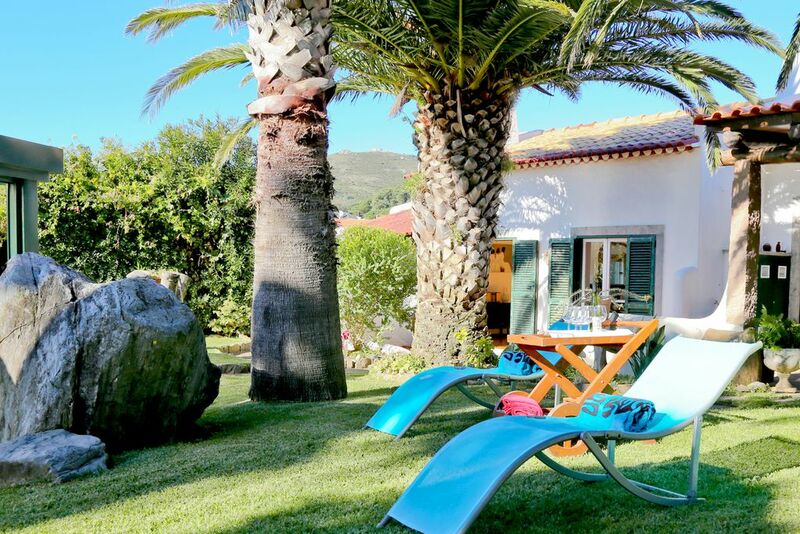 This is an ideal location for nature lovers, being in the Sintra-Cascais protected Natural Park. The village of Malveira da Serra is less than five minutes walk away, with a range of shops and restaurants. The village retains its traditional charm. Less far in the other direction is the coastal resort of Cascais, where you will find superb beaches, restaurants, night-life and shopping, its marina, a casino, as well as a charming old town with rewarding site-seeing. Lisbon is half an hour away; a number of other world class cultural and historic sites make an enjoyable day trip.The summer brings international festivals; classical music and ballet in Sintra, jazz in Estoril and fireworks in Cascais. Marcella is half Portuguese and half Italian. 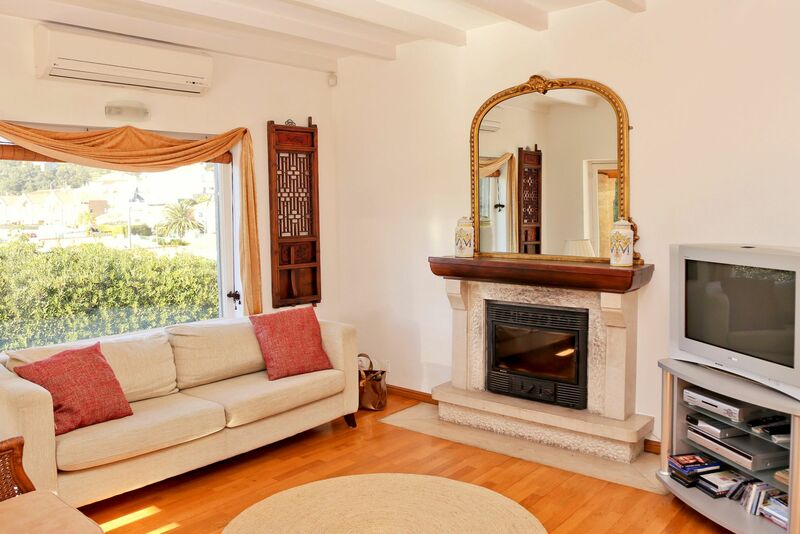 After her children grew up and left home she decided the property was too big to live in alone so she moved to Cascais and started running the place as a B&B, a member of her staff will greet you, although you will meet Marcella during your stay.